In Round 2, they were 32-point underdogs to the Dockers before winning by three, and last weekend, the Doggies were 33-point favourites to the team that would eventually win by five. That’s already a demonstration that they were 97 points better than the odds makers believed them to be this season – and I wish I could tell you that my ELO rating system had a significantly better opinion of them, but I’d be lying. I had them at least two-goal underdogs in every game. How can oddsmakers still make the Suns the 18th choice to make finals? I understand long odds against a premiership – sorta – but just on the basis of what we’ve seen so far, you can’t think of a single team in the league that seems less likely to make the top eight right now. A win this weekend moves the Suns to 3-1 – and all it would take to make finals would be about a .500 run through the rest of their fixture. Is that so unimaginable? I mean, do you think it’s more likely that Carlton goes 13-9 the rest of the way? Or even Melbourne, if they lose again this week, considering the struggles they’re having? Or even Richmond, if they’re as ineffective without their stars as they have been so far? Actually, I can answer my own question with a 12-month reset: the 2018 Suns went 2-0 to start the worst road trip in footy history, and then were 3-2 after five games, only to finish 4-18 after a four-month campaign. Yes, the Suns have had good starts to their season before. In fact, in six of their eight seasons of existence, they’ve had downright promising beginnings. Let’s agree to arbitrarily exclude 2012 and 2015, in which they had more “normal” seasons. Or at least what seems “normal” when your club’s lifetime record is one draw short of a perfect one win per four games, or 25 per cent. But excluding those two, the remaining six full seasons (2011, 2013-14, 2016-18) show a remarkable tendency to start strong and fade out towards the end. 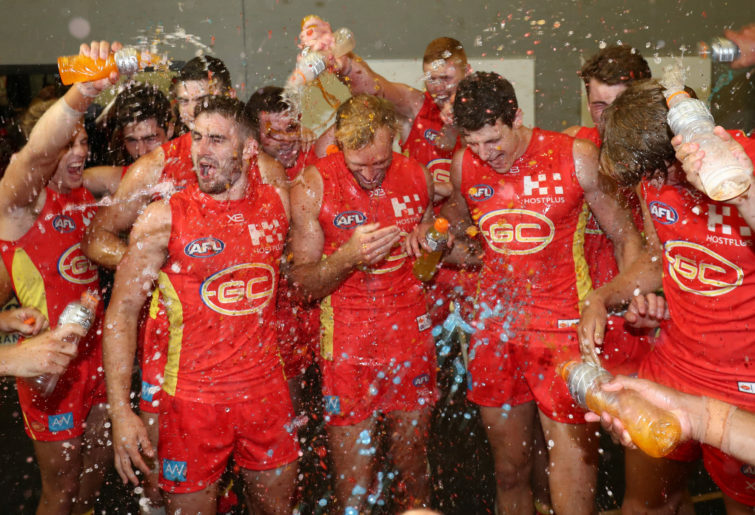 In four of the six seasons we’re examining (four of eight all told), Gold Coast actually won their first game of the year, a 50 per cent average overall. Twice in the last four years, they’ve gone 2-0 (last year and 2016), so being 2-1 isn’t all that exciting to Gold Coast fans. Let’s look at those six seasons, year by painful year. In 2011, their very first year of existence, you’d expect them to start slow and improve as the season went along, but instead the Suns won “prematurely” in their fourth and sixth games (versus Port and Brisbane, respectively) to go 2-4 on the R7 ladder and sit squarely above those two teams along with the Saints and Kangaroos, none of which could boast two victories yet. Then, the newbie Suns finished the year with a 1-15 spread, a fourth quarter burst against the Tigers the only thing preventing a whitewashing the rest of the way. Final record: 3-19, and a low enough percentage to prevent Port Adelaide from snatching the wooden spoon from their grasp. In 2013, they got a floundering St Kilda in Round 1 (winning 90-77), and then ran off three wins in R5, R6, and R8, against the Giants, Demons, and Bulldogs (by a combined 136 points!) to reach 4-4, their first visit to .500 after R2. They sat in 12th place, only one game and percentage out of the final eight at that point of the season! After that they fell back to earth, going 4-10 the rest of the way with wins over North, Collingwood, and Melbourne. They finished with a massive 146-63 win against GWS that was the largest win in their history until an 86-point victory over Hawthorn in 2017 edged it out. 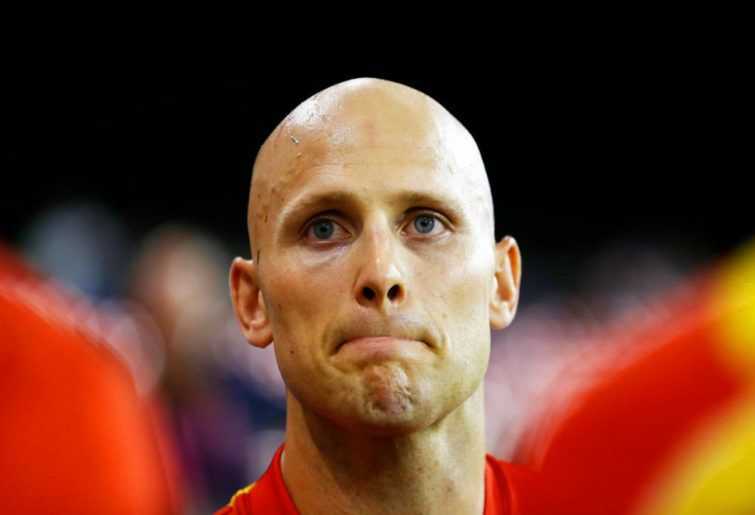 In 2014, with reigning Brownlow medalist Gary Ablett Jr, the Suns were the it team of the season. They won games one and three to merit a winning record for the first time, and then ripped off five straight to sit in third place. They were one game back of Port Adelaide and tied with Ablett’s once and future club, Geelong, at a remarkable 7-2. Then the league caught up with them. Over the next five games, they lost four of five to powerful opponents all in or vying for the eight (the one win, ironically, against Geelong). Ablett went down with a shoulder injury from a first quarter tackle that knocked him out for, basically, the rest of the season, although the rest of the team rallied in his support and pulled off a cosmic victory, 80-75 versus Collingwood. Without Ablett, though, they won just once more and finished at 10-12 – well out of finals but still with their best finish ever in 12th place. In 2016, they came out as a juggernaut, winning their first three games by a combined margin of 141 points! They sat in second place, just behind Sydney on percentage, and looked like a legitimate threat to not only make finals but make some noise once they got there. After that reality bit them on the behind. From R4 through R23, they had one burst in July where they managed to win three out of four games – their only other wins of the season. They went 3 and 16 to finish the season 6-16. In 2017, again, they started 2-2. It was a narrow loss to Brisbane, a big loss to the Giants, and two wins over Hawthorn (that 86 pointer) and Carlton. They defeated Geelong in R7 to get to 3-4; they won games against the Eagles and Hawks (again) to get to 5-6. After reaching 6-8 with a win versus North, Ablett never played at full strength for the Coast again, and the Suns didn’t win a game the rest of the way, ending on an eight-game losing streak to finish 6-16. In 2018, you know what happened: an upset in a swimming pool in Cairns against the Kangaroos, a victory in R2 at Carlton, and a win on the road over Brisbane (their fifth of ten straight games away from Metricon) put them at a surprising 3-2, in a nine-way tie for fourth place. Then, only a monumental upset of Sydney at the SCG, 88-64 in R18 kept the Suns from finishing the season on a 17-game losing streak, instead ending with a 1-16 stretch that left the team at 4-18 for the year. 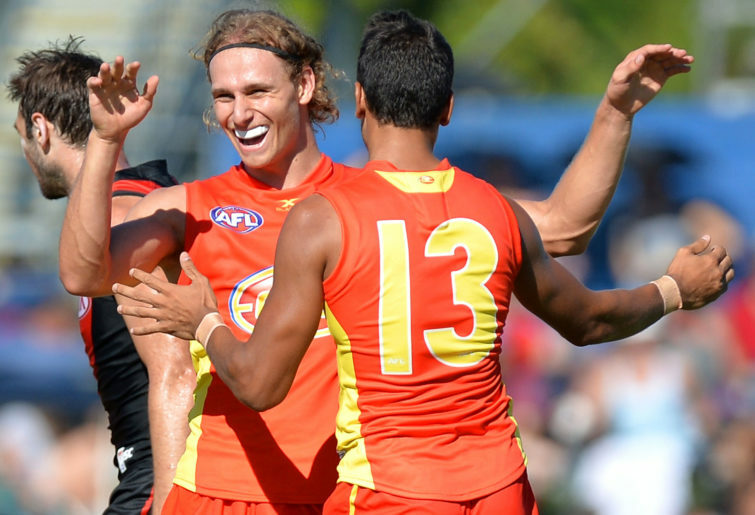 The Gold Coast Suns have started those six seasons at 24-18 (a 57.2 per cent clip) but finished them with stretches totalling 13-77 (a mere 14.4 per cent rate). That’s a phenomenal drop and a remarkably consistent plunge over a wide range of different rosters – and maybe that’s the point. The Suns have consistently been one of the youngest squads in the league, understandable when you’re a start-up operation but not so much in your ninth year in the AFL. The lack of staying power for players in their system has created this culture of young players who start the season with a burst of energy and enthusiasm, playing the coach’s game plan well and knocking off what on many occasions have been easier opponents front-loaded into the schedule for some reason. But as the season progresses, and the younger guys get into stretches of the season when they’ve never had to play – games sixteen, twenty, that sort of thing – they get mentally tired, less able to focus when things get tough, less likely to maintain their discipline and coaching strategies. Will that happen in 2019? Only time will tell. But I have much more faith in the 2019 version than in those eight previous years, and the reason why comes from my career teaching band. This team might still fade down the stretch, but don’t expect them to fall off the cliff as in those past seasons. The Dew on the field is the sign of a bright spring ahead.